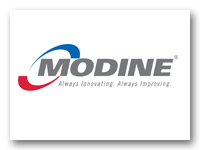 Our commercial customers include hospitals (OHSU Oregon Health & Science University, Providence Hospital), colleges (University of Oregon, University of Washington) military installations (McChord AFB, Fort Lewis, Naval Station Kitsap), as well as Amgen, Boeing, the Washington Athletic Club, and MacDonald Miller, Seattle Construction Division. In 1923 Homer A. Thrush committed himself to developing superior hot water heating systems. The Thrush Water Circulator was first introduced to the growing hydronics industry in 1928. This innovation brought the advantages of hot water heat to virtually every home and business. Mr. Thrush pioneered many innovations that have contributed to the comfort and well-being of mankind. Established in 1997, Thrush Co. Inc., named after Homer A. Thrush in commemoration of his innovative spirit, has been recognized as a leading pioneer in the hydronics industry. Our worldwide network of representatives and distributors, as well as our in-house service department, are available to meet your needs and insure your satisfaction. When you need heating and cooling products, think Thrush. In 1925, Paulsen Spence was inspired to design the first normally closed, pilot-operated, diaphragm actuated pressure regulator, the Spence Type ED. The Spence pilot-operated pressure regulator revolutionized the way energy producers supplied low-pressure steam to their customers by providing greatly improved accuracy in pressure control. This feature, as well as dependability and low maintenance, soon made pilot-operated regulators the standard method of pressure reducing and control throughout the steam industry. In recognition of the company's contribution to the nation's war efforts, the Spence Engineering Company received the coveted Army-Navy Award for production efficiency. Paulsen Spence's many inventions (over 60 patents) were: The Type ED packless main valve with external pressure pilot, Type T14 Temperature sensing pilot, Types T124 and T134 combination pressure and temperature control pilots, Type back pressure pilot, Type N differential pressure pilot, Types P and Type F46 pump pressure pilots and various pneumatic pilots. Spence's pilot-operated pressure and temperature regulators were the blueprints for many of the externally pilot-operated regulators manufactured and sold in the world today. Although there have been some changes to the materials and configuration of his inventions, the overall design and operating principals have remained the same since their inception 80 years ago. Spence Engineering acquired the Nicholson Steam Trap line of industrial and process steam traps in 1989. In 1999, Nicholson Steam Trap receives the ISO-9001 certification as manufacturers of fluid control and steam specialty devices. Located on 15 acres in Cayce, South Carolina, our facilities feature 105,000 square feet under one roof. Our machinery includes the latest in welding, cutting, and forming equipment, and we offer engineering assistance using state-of-the-art PC based CAD Systems. This not only assures you quality engineering, but also results in faster turnaround. To complete your job to quality standards, we rely on a work force of 105 highly skilled professionals, including supervisors, professional engineers, draftsmen and shop inspectors. Since 1958, Tunstall® Corporation has provided customers with outstanding, cost-effective solutions in an energy conscious world. With our reputation for quality, service and innovation, it's no surprise that we've built a group of loyal customers -- colleges, universities and state government institutions -- that consistently choose Tunstall for their steam heating requirements. 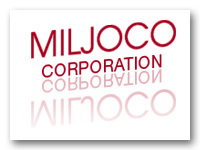 Miljoco Corporation is a leading international manufacturer of temperature and pressure indicating instruments used in the refrigeration, food service, commercial HVAC, and industrial processing industries.